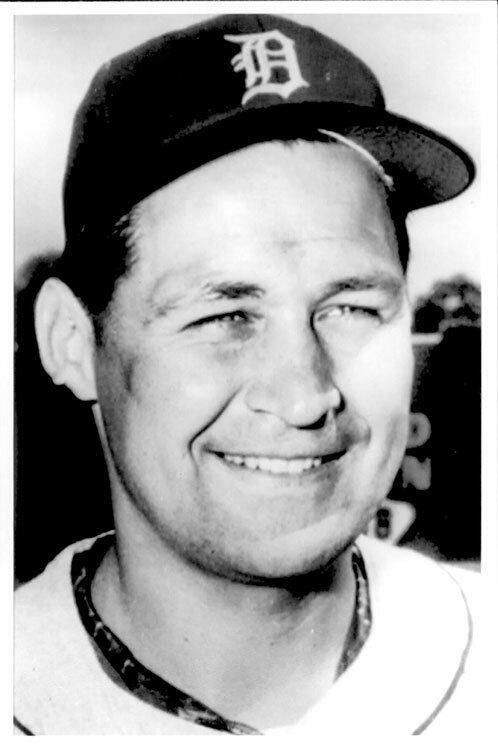 A right-handed pitcher out of Kensington High School, “Babe” Birrer went on to pitch at the University of Buffalo and was signed to a Detroit Tigers contract in 1947 by scout Cy Williams. Babe pitched professionally from 1947 to 1966, interrupted by two years of military service. In that period he made 589 appearances and won 143 games, primarily as a relief pitcher. He pitched nine seasons for his hometown Bisons (1952, ’55, ’60-’66). The only Bison pitcher to match that record was Baseball Hall of Famer James “Pud” Galvin. Birrer saw Major League action over parts of three seasons with Detroit, Baltimore and the Los Angeles Dodgers. His most memorable major league game occurred in Tiger Stadium, August 19, 1955 when he hit two 3-run home runs and earned the nickname “Babe” after the legendary Babe Ruth. That season, he was 4-3 for the Tigers with a 4.15 ERA and 38 appearances on the mound. Following his playing career, he taught Physical Education in the Buffalo and Suburban Public Schools for 20 years and coached baseball at every level from midget to high school. Birrer was inducted into the Buffalo Baseball Hall of Fame in 1995.